Leading activist of Ramallah-based BDS National Committee banned from entering Israel by Interior Minister Aryeh Deri. The Population Authority on Tuesday prevented the entry into Israel of Ana Sanchez Mera, a senior member of the BDS National Committee (BNC), under the guidance of Minister Deri Deri, on the recommendation of Minister Erdan. The activist who has been prevented from entering Israel is the coordinator of the BNC organization in Europe and the director of the organization's international campaigns. The BNC, based in Ramallah, is considered one of the dominant organizations calling for boycotts against Israel, with branches in various countries around the world. Sanchez Mera has supported the Spanish parliament's decision to defend Spanish boycotts against Israel, leading demonstrations by the BNC in Spain calling for a boycott of Israel - and her activities to promote boycotts against Israel have been defined as consistent and ongoing. In 2013 she was arrested by the security forces after participating in disturbances and vandalism with an anarchist group. Interior Minister Aryeh Deri said: "I once again exercised my authority and prevented the entry of a boycott activist who wanted to enter Israel in order to act against the state, who is a central activist in one of the main boycott organizations that is causing great damage to the state. What was in the past will not continue. People who come to Israel to encourage a boycott against us will not be allowed to enter." Strategic Affairs Minister Gilad Erdan added that "anyone who acts to promote boycotts against Israel has nothing to look for here. The rules have changed, and like any normal country, Israel will not restrain itself against those who try to harm it and its citizens. Key activists in the organization who are acting as a snake head in order to sow destruction and deepen the gaps between the sides are not welcome here." The BDS National Committee, the Palestinian National Committee for Promoting the BDS Campaign, was established in Ramallah in 2007. About 30 Palestinian Arab organizations are members of the organization. The BNC has a number of coordinators, some of whom are scattered around the world. 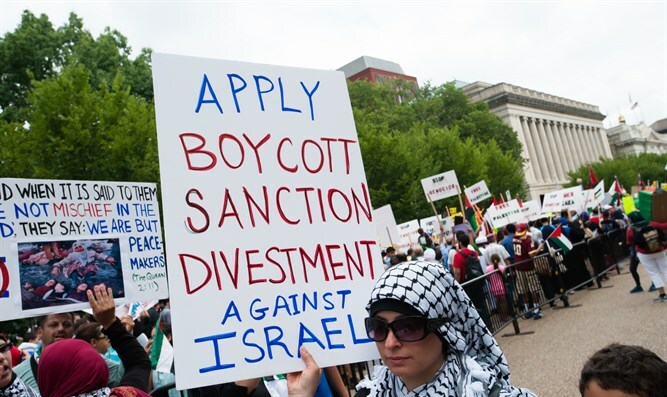 One of the organization's most significant branches is the PACBI - the Palestinian Campaign for the Academic and Cultural Boycott of Israel - which places emphasis on promoting boycotts against Israel in the academic and cultural arenas.